Many lures need that little extra to go from a good bait to a goto bait! 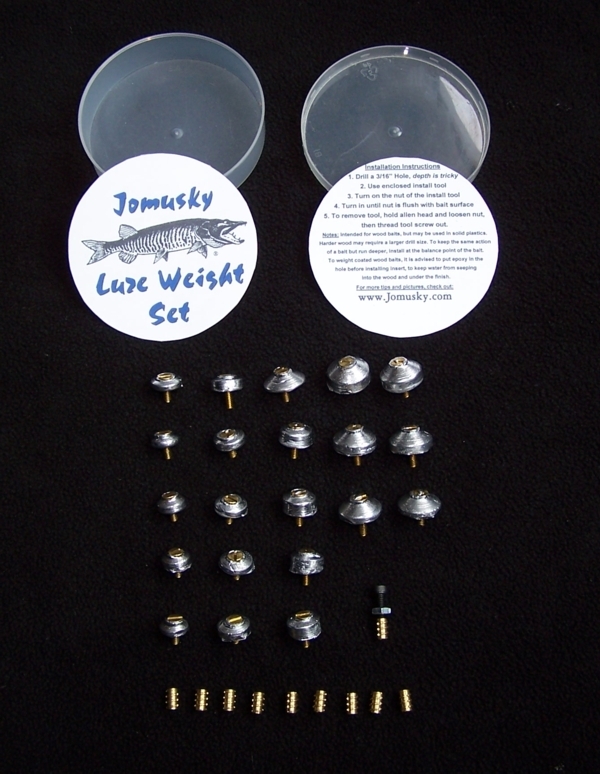 This screw in weight system allows for easy addition of weight to most any wood or solid plastic lure. Notice the front hook arrangement. The front hangers have been removed and one hook is intalled with a long screw eye. The famous Double Weighted 10 inch Suick, conceived by my brother Doug Junion. This is what the bait looked like before it caught the 50.5" on the front page! If payed with Pay Pal the sets will ship UPS Ground on the same or next business day.